This is an essential resource when facilitating using the VITAL Paradigm. 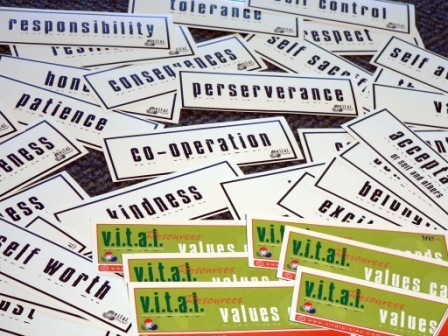 The individual positive values on each card are designed to help participants identify, name and link values experienced in an action-based learning exercise. Used for goal setting, during a debrief, for reflection or review, this visual aid will prompt participants to explore values and integrate them into their learning. These cards are linked with the VITAL No Limits and UnLimited programs which explore the set of values listed in this pack. Includes: 50+ durable, full-colour cards, 190 x 65mm, protective box, and instructions for a variety of ways to use them.